We would like to welcome our newest partner Black Horse Arsenal. Black Horse Arsenal is a manufacture of high quality assault weapons and accessories. Founded in 2009 to adapt the Russian Izhmash SVD Dragonov sniper rifle composite stock to the Romanian PSL designated marksman rifle (DMR), and manufacture high quality weapons as a company holding a Type 7 FFL. As a defense contractor with relationships inside the US Military supply chain the original target market for our PSL stock was the Department of Defense in an effort to provide lighter and more durable furniture for the PSLs being supplied by the US to allied Iraqi Army. Their Russian Izhmash SVD Dragunov composite stock adaptation with forearm for the PSL is also available for the AK and all Kalsihnikov variants as a either fixed or expandable stock. Our stocks are installed with no modification to these weapons. 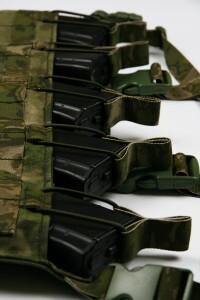 It is considered US made by the ATF and counts as two 922r compliant parts. Black Horse has really made an outstanding composite stock for the Romanian PSL designated marksman rifle (DMR). 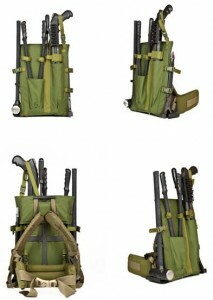 We are excited to have them on board and watch for our Combloc Sniper SVD/PSL chest rigs on their site. 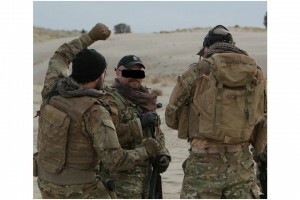 A German Post Exchange at Kandahar Airfield reports, that Zombie Hunter patches are continually sold out. Afghanistan's rugged terrain, climate and impregnable clan loyalties have not changed between modern and past military operations. The campaigns of Alexander the Great, the British in the era of Kipling, and the late Soviet Union were unable to win Afghanistan. The greatest massacre of British soldiers in the history of the British empire happened in Afghanistan. The world's great armies all eventually ran into trouble in their encounters with the unruly Afghan tribals or maybe the zombies. Zombies represent a force not unlike the Taliban. A foe with inscrutable motives that doesn't seem to need to eat or sleep, and no matter how many you kill…they pursue the living with implacable determination. Killing zombies requires a decapitating or skull-crushing blow. Destroying the brain is the most common way of killing zombies. Destroy the brain… bottom line. Traditionally, the best tool for this is a shotgun with buckshot. Special operation Zombie Hunter teams are taking the fight to within feet by using shotguns that provide the fire power to exterminate. This brings a new meaning to “One Shot, One Kill”. 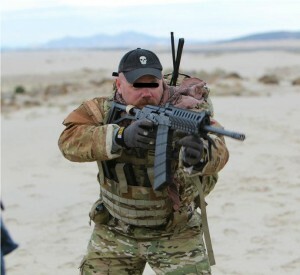 Teams are being outfitted with Saiga-12 Kalashnikov-pattern semi-automatic 12 gauge combat shotguns, Hornady Zombie Max Shotgun Ammo and BCS Saiga-12 chest rigs to support over 40 rounds of decapitating fire power. Information provided in this post has not be confirmed or denied. With all the noise about the ALICE frame's immortal life flying around. We wanted to show how we modified the ALICE frame to support entry tools. 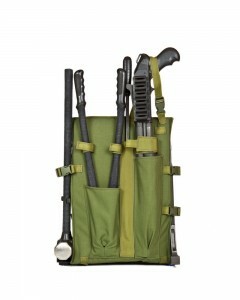 The Entry Tool Tac Pack were designed for entry teams that wanted a way to carry the tools on a solid frame. Most entry tools are carried with a soft pack and that would just not cut it. The frame is modified with aluminium channel on each side to hold the sledge and axe/spike tool. Simply put, this frame just won't go away. The Entry Tool Tac Pack is still available by request. 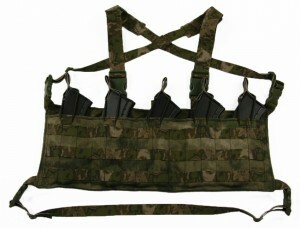 The Entry Tool Tac Pack panel can also be modified with molle or different tool pockets. If you are an entry team and are tired of the soft entry tool packs give us a call. 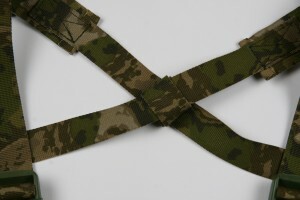 We are now using A-TACS AU/FG webbing on all of our A-TACS gear. 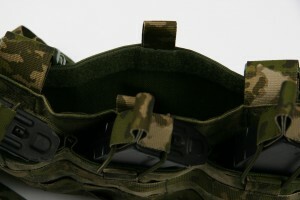 Here are a few pics of our AK47 chest rig in A-TACS FG. X-harness fans, you are going to like our new idea. 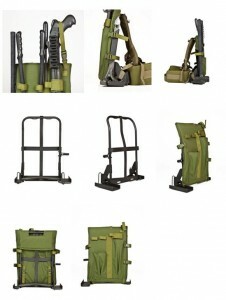 Take a look at the X-harness!. It has our new X-stabilizer system. What does the X-stabilizer do? – Maintains the X shoulder strap shape for easy dawning. – Helps prevent X straps from getting twisted. 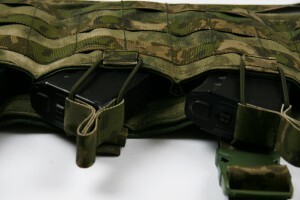 – Equalizes and stabilizes the X straps automatically on the back. – Helps prevent X strap creep up the neck. Another example of KISS (Keep it simple stupid)idea.